From Imbibe magazine comes That Green Drink, a great summer cocktail. Created by a Boulder, CO bartender, Michael Cerretani, whose website is here, this drink is easy to make, even if the ingredient list is rather long. 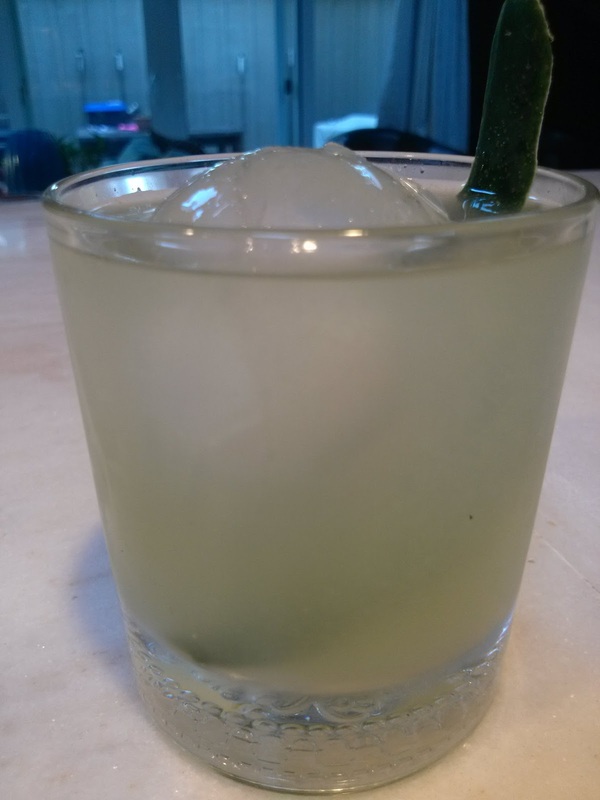 Buy a cucumber, make some rich simple syrup, keep a well-stocked bar, and you have it. and then double strain into a rocks glass with one large ice cube. 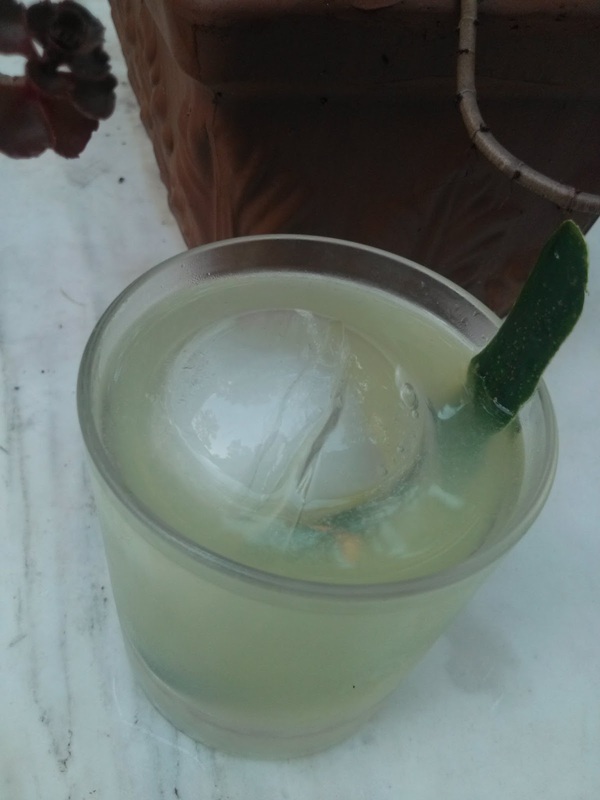 Garnish with a long cucumber peel and a lime twist. It is a refreshing summer drink: punchy, with lots of alcohol, but with none of the harshness of a dark, whiskey drink. I love Manhattans anytime, but this drink refreshes in a way other drinks cannot. It's like a sour, but the gin shines through. That's probably my favorite part, the fact that the gin is the star. The Chartreuse and Bianco Vermouth just support it, and they do a good job of highlighting the gin's flavors. Refreshing and cool, but be careful. With over 3 oz of alcohol, this drink packs an understated and surprising wallop.